Last week the PEN American Center announced its 2011 awards. We’re so excited that the winners included three members of the One Story community. Susanna Daniel (“Stiltsville” #134) was one of two winners of the PEN/Robert W. Bingham Prize (worth $25,000) for an excellent debut work of fiction for her novel Stiltsville. Smith Henderson, author of One Story issue #136 “Number Stations,” won The Emerging Writers Award, a new prize which honors a writer who has been published in a literary journal, but has not yet published a book-length work. Former One Story contributing editor Elliot Holt, nominated by Guernica magazine, was named the runner up for this award. We’d like to thank PEN for their continued extraordinary support of writers at all stages in their careers. We congratulate Susanna, Smith, and Elliot, and all of this year’s winners and runners up who will be honored at the 2011 PEN Literary Awards Ceremony on October 12, 2011, at CUNY Graduate Center’s Proshansky Auditorium in New York City. You can see the full list of winners and runners up here. We hope you’ll join us in October to toast them all. Come Celebrate Andrew Foster Altschul at Mediabistro Wednesday! 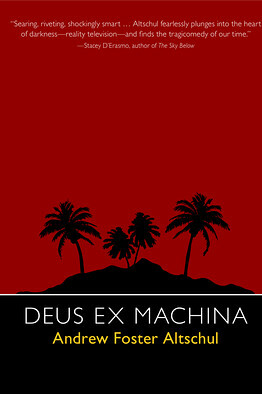 Hang out with Mediabistro and see just why critics are raving about Deus Ex Machina by RSVPing here, and if you’d like to read more about Altschul (who is also the Books Editor at The Rumpus, one of our favorite sites for book-related news), check out his website for updates and links to his work. Congratulations Andrew, and we hope to see you all on Wednesday! Check out more of what critics are saying about A Good Hard Look, as well as Napolitano’s other work here at her website. For all the details about Thursday’s event, here’s a link to McNally Jackson, where you can also find information about all the great readings they host throughout the year. We hope you can all come out this week to get some little-known insight on this pillar of the American short story. Until then, here’s a clip of O’Connor herself reading the story “A Good Man is Hard to Find.” It’s the perfect thing to pair with these hot August days. With every day it seems there are only more ideas and philosophies and pieces of advice to incorporate into our thoughts about the One Story Workshop and writing as a whole. As usual, yesterday morning editors Marie-Helene Bertino and Will Alison led their individual classes, and after lunch, we all gathered to hear a craft lecturer share their own insight on how to better make a story. Yesterday, Jenny Offill, finalist for the LA Times First Book Award and author of the New York Times Notable Book Last Things, joined us to focus on one of the finer compounds of writing: the sentence. This was the perfect advice to prepare us for the afternoon, when we had the incredible opportunity to visit Manhattan’s Center for Fiction to hear from Simon Van Booy, winner of the Frank O’Connor International Short Story Award and author of many books, including The Secret Lives of People in Love and Love Begins in Winter. As he read to us from his new novel, Everything Beautiful Began After, I couldn’t help but feel the sway of the language he used, how the sentences rolled over each other with their lush details and layers. They not only captured an experience, but became one themselves, taking the kinds of risks Offill had urged us all towards earlier. It seemed fitting then that Mr. Van Booy seemed not to shy from experiences in his own life. His talk covered a wide ground, from Einstein, the consciousness of the universe, psychological transference, Joseph Campbell and the Paris catacombs, to Fred Astaire, Greek sexual attitudes, the ugliest shoes he’s bought, and why suits are more useful than underwear. If that seems random, that’s because randomness is at the core of how things work. The heat wave held steady as we kicked off our 2011 Summer Writers’ Workshop today, right here at the Old American Can Factory in Brooklyn. We’ve doubled the workshop’s size since last summer, bringing twenty talented writers together for a week of intense work, plus a better look at some of the industry ins-and-outs. Over the next five days we’ll be hearing from award-winning authors, agents, editors, MFA directors, and all-around great literary minds, so check back for updates as my fellow interns Rose, Eva and I bring you the highlights of all the panels and discussions. The morning began with writing workshops, run by One Story editors Marie-Helene Bertino and Will Allison. Later, after lunch, we got to hear from One Story’s very own editor-in-chief Hannah Tinti, who gave us her insight on how to write good beginnings and endings. Incidentally, we also got a basic lesson on romance. “Starting a story follows along the same lines as going on a first date,” she explained. “You don’t cry, you don’t say ‘I love you’, you try not to be boring. You give them some of your history, but not too much–leave a little mystery. You want to charm the reader, you want to get a second date.” She’s right: the connection between readers and books is a sort of relationship. There’s an initial spark, something that makes you want that second date, and so you keep going, investing your time and your trust. The stakes rise, and you hang on, all the way till the end, which hopefully goes as gracefully as possible. All of this advice in one day could easily seem daunting. But as it was, in the end everyone seemed to have more or less the same bottom line. When you’re writing, Hannah said, “trust your gut. Just follow your instincts, get it down.” And when you’re editing, take your time. The agents aren’t going anywhere, and neither are the publishers. They want writers on board as much as writers want them. But still, make sure you polish your manuscript before sending it out on its hopeful way. Make sure it doesn’t have spinach in its teeth. Or if it does, hope that it is still charming. 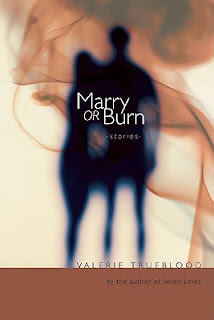 One Story Author Valerie Trueblood makes Frank O’Connor Award Shortlist! You can watch a book trailer for Marry or Burn below. Check out more of Valerie’s writing here. Read all about this year’s Frank O’Connor shortlist here. Good luck, Valerie! Stiltsville selected for Oprah’s Summer Reading List! Oprah.com is the latest to feature Stiltsville by selecting it for the 2011 Summer Reading List. Daniel’s book “stands out due to its lovely, unexpected normalcy,” they wrote, though many others have noted it for its lush descriptions, honest characterization, and the quiet compelling power that certainly caught my attention when I first encountered Daniel’s work through One Story. You can check out her website here to see more about what critics are saying, learn more about her experiences as a writer, and see what she’s up to next. Congratulations, Susanna! NPR’s story last weekend about Alice Ozma’s book The Reading Promise caught my attention: every single night for almost nine years, from when she was in fourth grade up till her first day of college, Ozma’s dad read to her. Even on prom night. Taking a break in between hair-styling and corsage-pinning to pause and listen to a story is probably not what most people did before prom; reading aloud and being read to are things that seem to have been mostly written off for people without young children, who are themselves no longer young children. It feels kind of decadent to be read to now. You have to really listen, which at once is very easy and can be done almost anywhere, but also forces you to slow down and focus your attention on just the sounds of the language. Storytelling too then manages to be a throwback to childhood/the world pre-printed book, while also being a (not so) innovative way for more people to experience more literature. Publishers Weekly recently took a look at the audio book industry (June is apparently Audio Book Month), which you can read about here. There’s an interview with celebrated audio book narrator Scott Brick that got me thinking how reading a story aloud really changes your own experience of it. Prose is usually not judged with the same criteria as poetry, but sound and rhythm can just as easily be crucial to a paragraph of fiction as to a stanza (for a very in-depth look at sonic sentence construction, check out Gary Lutz’s lecture, “The Sentence is a Lonely Place,” as printed in the Believer.) Reading “Tiger” on the train this morning, there were passages I wanted to read to the people around me, if only just to listen to how they sounded. So if you have any favorite stories to listen to or read aloud, or thoughts on how hearing a story affects your experience of it, let us know—if a party ever gets too tiresome, reading a great story aloud is sure to make up for most of the dull ones.